Remember High school with a classic style. Set in genuine leather sleeves with coordinating pockets. Non-pill, high-memory, wool knit collar, cuffs, and wristband. *Professional leather dry cleaning required. 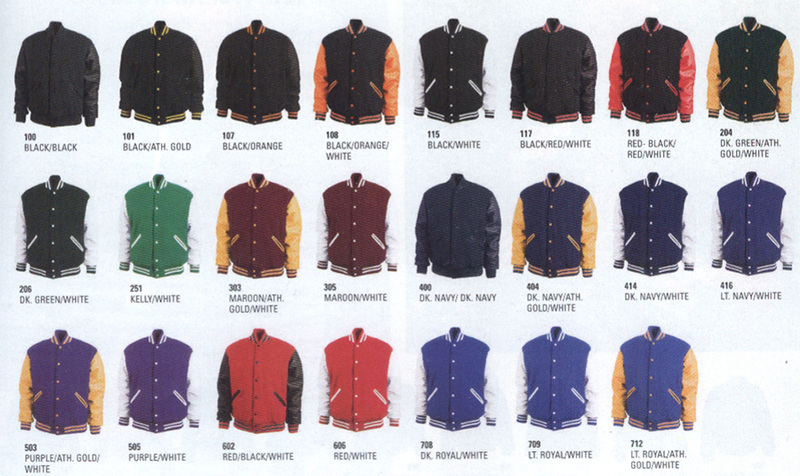 Custom letters and embroidery are available on all varsity jacket orders. For more information about pricing or custom option please contact out offices during store hours.